Have you ever asked yourself why some people seem to get everything easily and others don’t? Everything you have in your life today is a direct result of your thoughts, beliefs and expectations. Nothing happens “JUST BECAUSE”. Find out how to take control and full responsibility of your life, and how a couple of small steps every day can change everything. 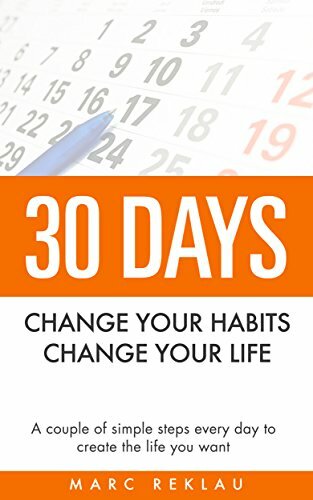 30 Days is not just a book that you read. To make it work YOU have to work and do the exercises it proposes consistently over time. In this simple, fast-paced eBook you will be learning what it takes to create the life you want. Change your habits, change your life. Nothing happens “JUST BECAUSE”.